One of our longstanding programs is the support for the Buddhist Ye Lai Monastery in North Okkalapa Township, Yangon. 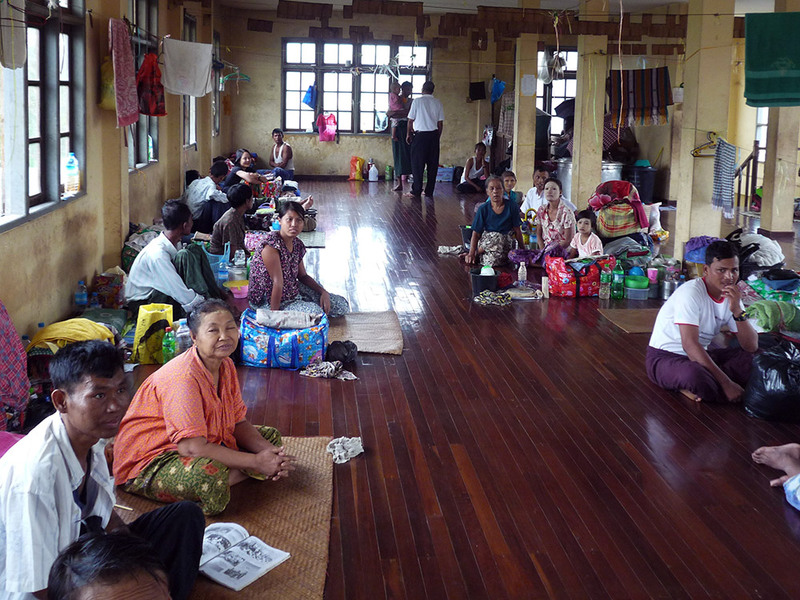 Here patients living with HIV/AIDS find temporary accommodation and food when visiting Yangon hospitals for medical tests and checks. The Monastery does not discriminate and accepts patients and accompanying relatives irrespective of gender, ethnicity and religion. PIN supports the Monastery with about 50 Buddhist Monks since 2007. In 2005 the young Buddhist Abbot U Kondala had started to help HIV patients. His monastery is opposite of the main gate of Way Baw Gyi Hospital in Yangon, one of the two public hospitals which at that time provided antiretroviral medicines (ARV) to HIV patients. The monk provided accommodation and food to about 30 patients and their families who had traveled to Yangon to receive their monthly medicines from the Government Hospital opposite. 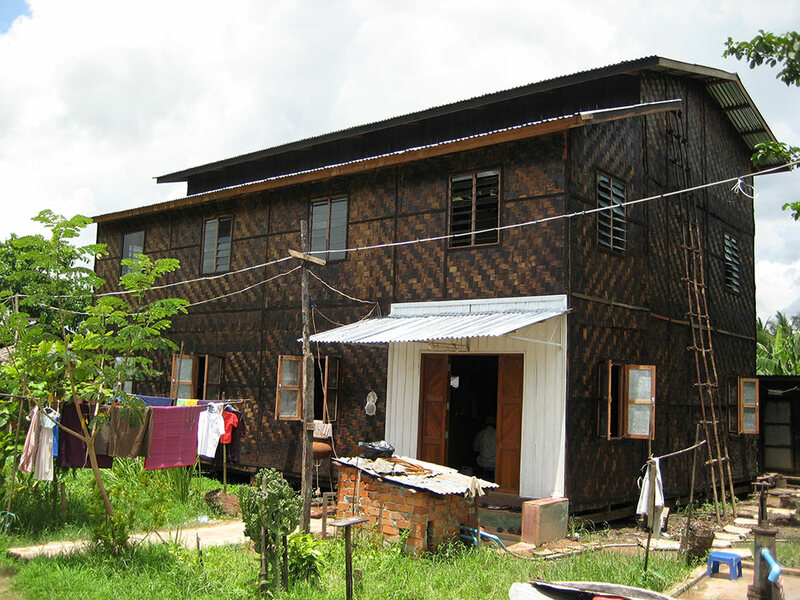 When PIN was introduced to the monk in April 2007, the boarding house for the patients was a mere wooden shell with a roof and did not have any outside walls and a staircase to the first floor. PIN helped the monk to fit the boarding house with bamboo walls and proper stairs before the rainy season got underway. And after the monsoon season we tackled the abysmal sanitary situation; with help of a friendly engineer and his construction company PIN build toilets, washroom and a proper kitchen. Even after the “Saffron Revolution” (Monks’ demonstrations and uprising against the government) in September 2007, U Kondala continued to accommodate and care for HIV/AIDS patients while all other monasteries caring for HIV-patients were closed and locked down by the Military. At Ye Lai the abbott arranged a network of local and international NGOs and individual Burmese donors who provided food, medicines and counseling for the HIV patients. After Cyclone Nargis (2008) the public health system in the Irrawaddy Delta collapsed and many HIV patients traveled to Yangon for help. Faced with the increased demand for ARV-drugs the government hospitals restricted medication to patients living and being registered in Yangon. This put the the monastery in a difficult situation: Several new arrivals from the disaster areas were not registered in Yangon and hence did not qualify for receiving the life-saving ARV-drugs. To help these sick persons PIN bought a small house in the vicinity of the monastery where the patients from the Delta could register and by that, qualify for the receipt of ARV-drugs. 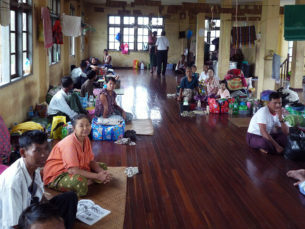 Cyclone Nargis had also damaged the two-storey bamboo boarding house of the Monastery and with the new arrivals from the Delta it had become overcrowded. Seeing this need and in recognition of our successful cooperation with the Monastery in emergency and rescue missions to the devastated Irrawaddy Delta, PIN donated two reinforced concrete buildings to replace the existing bamboo shelter: One house for the ordinary HIV-affected persons and one house for HIV-positive monks. In 2008 about 15 HIV-positive Buddhist monks lived in various monasteries in Yangon; they received ARV-medicines from a Buddhist charity. On request of the other Buddhist monasteries Ye Lai Monastery agreed to provide accommodation, care and counseling for these sick monks. The year 2009 did not start well. 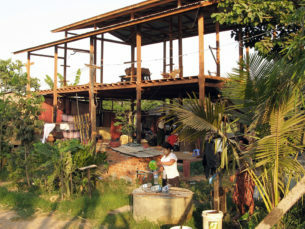 People In Need had just finished the two big buildings for Ye Lai Monastery when the Myanmar Military Intelligence together with the Ministry of Health closed the monastery down. All patients including children and their helping relatives were kicked out with nowhere to go. The fabricated reason was “this monastery is political”; all because one member of the opposition party NLD (National League of Democracy) had provided ARV-medicines to 3 patients occasionally. The new buildings had to stay closed under 24-hour surveillance of the Special Branch, Burma’s Secret Police. The whole year 2009 we were not allowed to visit the monastery. Over the next twelve months we tried every possible way to support the abbot to re-open the monastery for HIV patients. We tried to motivate more powerful (VIP) monks to assume responsibility for the monastery and to protect the patients from government harassment. However, we had to realize soon that nobody was willing to touch this political ‘hot potato’. We even sent a friend to the Health Minister personally to present the case; unfortunately to no avail. Only in December 2010 some signs of relaxation of the ban were to be seen. Up to 15 HIV affected men were allowed to stay in the monastery for a maximum of up to 7 days. The children and women were still not allowed to return to the Monastery; we accommodated 10 women and 4 children in a small private house nearby and kept this hidden from the authorities. Finally, after the election at the end of 2010 and with the transfer of control of the Ministry of Health from the Military to the civil sector, Ye Lai Monastery was allowed to operate again without restrictions. Also, the supply of HIV medicines by NGOs and public hospitals improved significantly. Nowadays, medications against HIV/Aids and opportunistic infections are available in the larger cities in Myanmar. However, the health care sector outside of the major cities is still underfunded and underdeveloped. To get the proper medication and to avoid the social stigma within small village communities, persons affected with HIV travel to Yangon or other main cities. 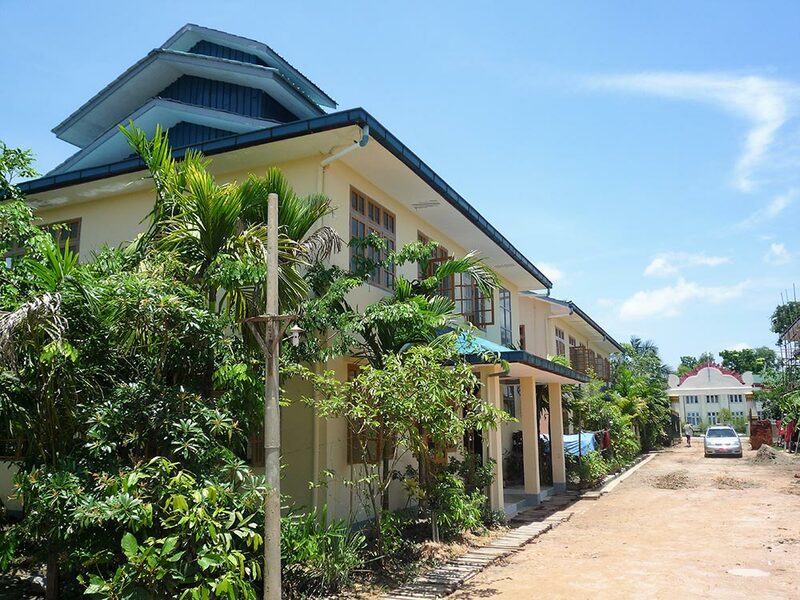 When patients visit Yangon hospitals and clinics for medical tests and to replenish their medicines, they can still stay free at the Ye Lai Monastery. The monks will take care of the food by sharing alms which they collect in the early mornings from devotees and neighbors. If required, we continue to support the Monastery and assist with the major challenges. When the patients’ house was severely run down by the continuous stream of visiting HIV-patients, PIN refurbished and painted common rooms, toilets, washrooms and kitchen. In 2017 we continued the ongoing maintenance and upgrading of the houses. PIN built additional toilets and new washrooms and we raised the ground floor levels of kitchen and corridors to prevent flooding during the heavy monsoon season.